This economical system provides the ability to create a cleanroom out of an existing room or upgrade a cleanroom already in use. Furring wall systems offer an attractive, cost-efficient wall system for cleanroom construction over existing block or gypsum walls, studs, and columns. The functional design also allows it to be installed on strut-type framing to create a mechanical/plenum chase. Wall panels provide a flush surface on one side while creating a consistent appearance with the ballroom or plenum walls. Universal design allows easy connection to strut or stud framework. Complete flexibility allows for the wall system to be designed for any configuration. Ideal for environments up to a sub-Class 1 (M1) classification. The ideal alternative when installing over an existing block or gypsum walls, channels, and columns, Furring 500 provides greater wall rigidity than other liner walls utilizing a ¼" panel. The functional design also allows it to be installed on strut-type framing to create a mechanical type chase. 0.50" (12mm) wall panels provide a flush surface on one side while creating a consistent appearance with the ballroom or plenum walls. The Furring 250 wall system offers an attractive, cost-efficient wall system for installation over existing block or gypsum walls, drywall studs, and columns. The functional design also allows it to be installed on strut-type framing to create a mechanical type chase. The 0.25" (6mm) wall panels provide a flush surface on one side while creating a consistent appearance with the ballroom or plenum walls. This 0.50" (12mm) thick wall allows you to create side wall returns and mechanical chases while controlling costs. Furring Wall Systems are designed to skin and trim around most wall openings and penetrations including doors, windows, and equipment. 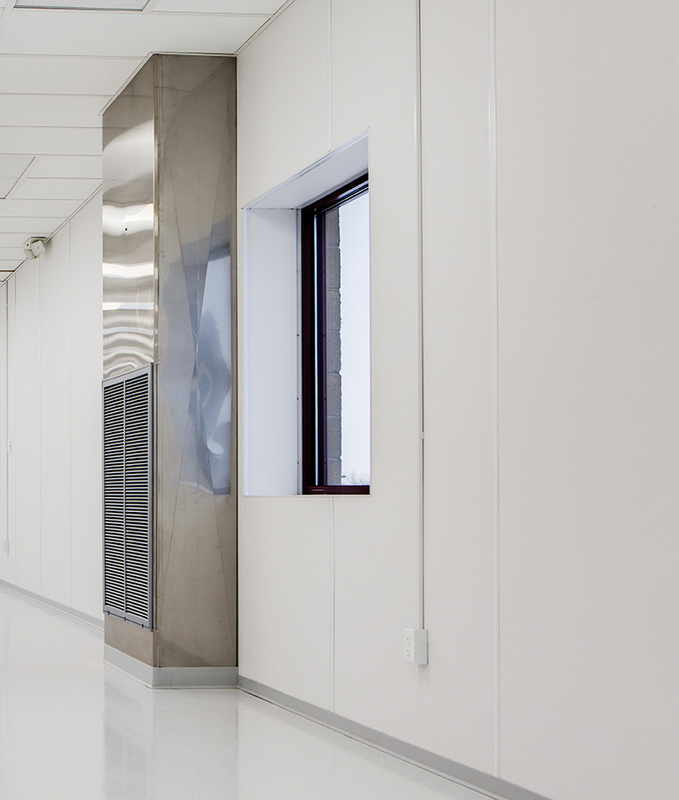 The 0.25"(6mm) thick wall system can be used to skin existing block and gypsum walls as well as channels to give the cleanroom a consistent appearance.